Another member of the parrot family – I’m definitely enjoying knitting parrots at the moment! 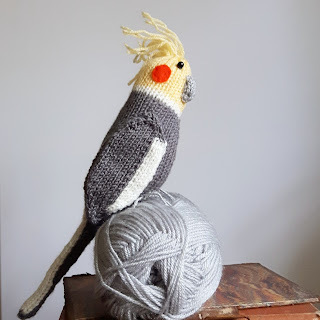 This little cockatiel is currently for sale in my Etsy shop, it is hand knitted from my own pattern. If he has sold, please do get in touch, and I may be able to knit you another as a custom order.